Craving more space in your master, guest or loft bathroom? Having a small bathroom doesn’t mean you have to compromise on having a ‘wow’ bathroom. Plan your small bathroom layout – Careful planning is vital when it comes to creating a bathroom that looks amazing and maximises every inch of available space. Firstly note down the measurements of walls, ceiling height, doors, windows and any recesses, along with the location of plumbing and electrical fittings, such as water pipes, waste connectors, radiators and extractor fans or wall vent systems. Then log on to our free 3D design tool to start planning your ideal bathroom layout. To make the most of a compact bathroom, it’s important to be aware of the minimum clearances required to ensure all elements of your bathroom fit and function as they should. For example, to optimise floor space it’s recommended to allow sufficient space from the front edge of units, such as your bath, toilet and wash basin, to any opposite unit. If you’re not sure, bring your dimensions to our professional in-store designers who will be happy to plan the space for you. Before making any kind of structural changes to your bathroom always seek professional advice. Small is beautiful - Knowing that space is a precious resource in most people’s homes; manufacturers have perfected a wide range of high-impact, space-saving bathroom suites. 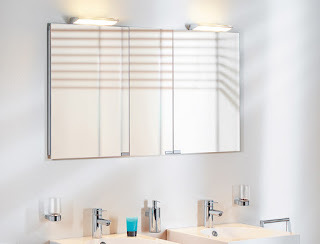 There are multiple solutions to enhance smaller bathrooms, including vanity units with integrated WCs and wash basins, wall mounted wash basins that give the illusion they are free floating and slim line sanitarywear and shower enclosures that take up the half space of their full-size counterparts. 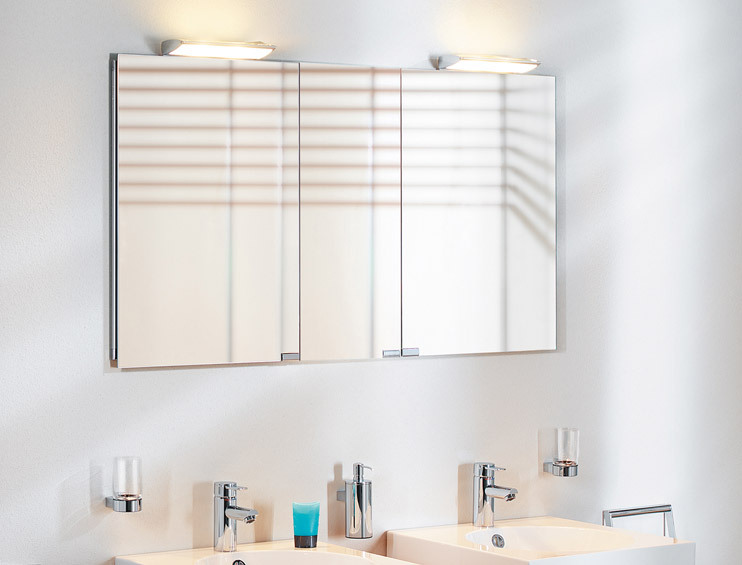 Once installed, introducing features such as oversize mirror wall cabinets will add extra storage and give the illusion of more space again. For inspiration take a look at Keuco’s uber stylish Royal Modular and Royal Integral mirror cabinets which can be recessed or wall mounted. Tiling and Glass – The advantage of renovating a smaller bathroom is that they are generally less labour and materials intensive, so you may be able to splash out on luxurious finishing details. For example, if opting for a space saving shower, an elegant frameless glass enclosure will look amazing and make the space feel much larger. 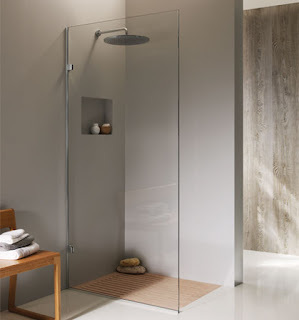 Take a peek at the Majestic Shower Company who craft bespoke glass enclosures to fit any bathroom space. White and light colour tiles against a neutral colour bathroom suite will unify the look and reflect natural light giving the appearance of more space. Similarly, using larger tiles to completely cover one wall – for example, where your bath and shower are located – will create a satisfyingly clean, clear space. If you’re looking for ways to maximise your bathroom space, come and talk to our bathroom experts. As well as tailored design guidance and space saving ideas, we can show you around the latest compact bathroom suites and fittings. Pop in or call your nearest European Bathroom showrooms in Amersham or Windsor today.